Who can qualify in Nebraska for a sales tax exemption on utilities? A manufacturer or industrial processor in Nebraska can qualify for a sales tax exemption on utilities used in production. If any meter meets the predominate usage requirement, the sales tax will be removed from the bill, and the entire meter will be tagged as exempt. How can one obtain the sales tax exemption on utilities in Nebraska? A valid sales tax exemption certificate must be filed with the utility company. When the exemption certificate is approved and on file, the utility company will mark the account exempt. The predominate usage study requirement is described below. 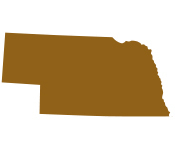 Nebraska does not require that the certificate or the study be done by a professional. The state does encourage that the certificate and utility study to be completed by a professional however. Inaccurate studies can lead to exemption denials and a loss of future savings. On Your Mark certifies its predominate usage studies. What is required in the predominate usage study? The exemption requires that more than 50% of a single meter’s consumption is used for production. The predominate usage study needs to (1) list each piece of equipment or appliance that uses the utility and (2) list the respective annual consumption for each piece of equipment. The list is then broken down between production equipment and non-production usage. If the study determines that more than 50% of the consumption is used for production, then the whole meter is exempt. What is the scope of work of a Professional providing the Utility sales tax exemption work in Nebraska? Utility Study: On Your Mark does the predominate usage study and its evaluation – at no charge. If a meter qualifies for the exemption, and the certificate is approved resulting in savings, only then does On Your Mark bill for a share of the savings. So no savings, no fees. Refund Claim for sales tax paid on exempt meter: Nebraska allows for a refund in the case of an exempt meter. In that case, On Your Mark will file the refund claim up to the full 36 month statute of limitations. Minimize time and frustration: The predominate usage study is time consuming and laborious. This is the main reason most companies choose to have it completed outside. This avoids wasted time and serious frustration. Risk-free Exemption - in the shortest amount of time: On Your Mark performs the all the work for free – until there is a savings. If the customer gets no savings, there is no fee charged by On Your Mark. Typically On Your Mark has completed the filing within 30 days.